Just passing along a little something I shared over on my personal blog today. A super easy way to make s’mores with only two ingredients. Chocolate covered graham crackers work too. Happy summer! What a fantastic idea! Yum. Yumm! 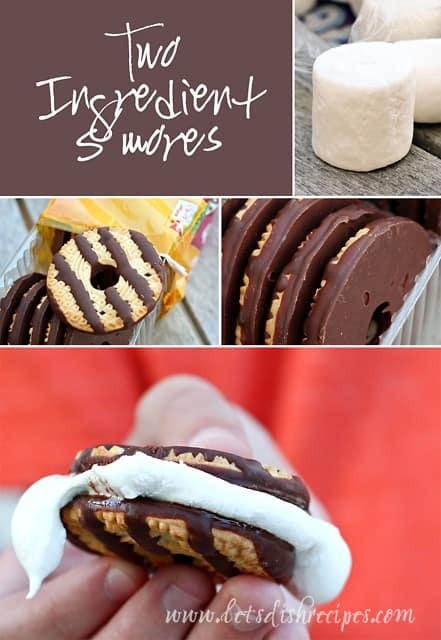 I love smores with fudge striped cookies as the base. That’s it- I’ll be right over. YUM!!!!!!!!!! You always have the best ideas.